Microsoft announced today that the free Windows 10 upgrade offer ends on July 29th, 2016. The company has been tight lipped about what happens after the one year free upgrade period to Windows 10 expires with rumors ranging from an infinite continuation of the free upgrade offer to paid subscriptions for all users who took Microsoft up on the offer. The the latest blog post on the official Windows Experience blog clarifies that the free offer to upgrade eligible devices to Windows 10 expires on the one year anniversary of the release of the operating system. The free upgrade offer to Windows 10 was a first for Microsoft, helping people upgrade faster than ever before. And time is running out. The free upgrade offer will end on July 29 and we want to make sure you don’t miss out. After July 29th, you’ll be able to continue to get Windows 10 on a new device, or purchase a full version of Windows 10 Home for $119. Windows 10 will only be available as a paid upgrade or a full retail copy after the one year free upgrade offer promotion ends. 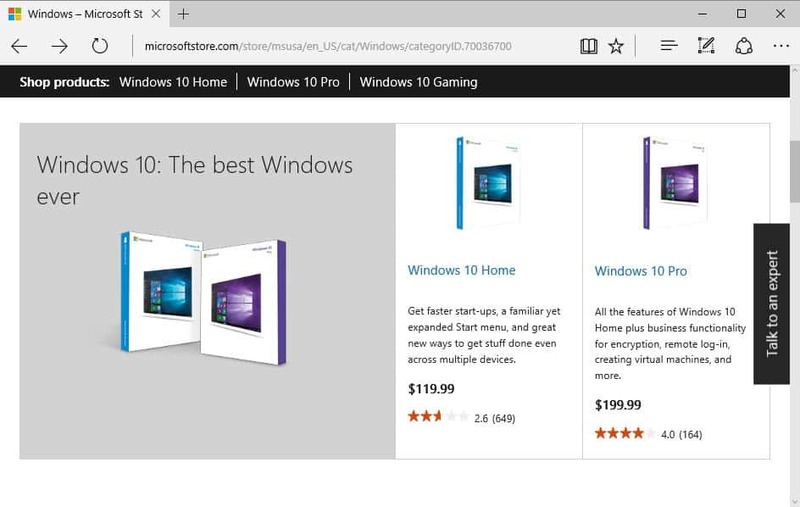 The full version (not system builder) is available for a retail price of $119.99 (Windows 10 Home) or $199.99 (Windows 10 Pro) already and the price will remain the same after the promotional period. Microsoft did not reveal the upgrade price after July 29, 2016 but the price is usually cheaper than the retail price. Devices that run Windows 7 or Windows 8.1 can be upgraded for free until July 29, 2016 according to Microsoft. The announcement should put an end to several rumors floating around on the Internet, and here specifically that Windows 10 upgrades would remain free or that Microsoft would start to charge users who upgraded devices to Windows 10 already. Microsoft published a video that highlights that the Windows 10 free upgrade offer will expire on July 29. The company confirms in it that future upgrades like the upcoming Anniversary Update for Windows 10 will be free . The company announced as well that Windows 10 is now installed on 300 million active devices, up from the 200 million devices figure that Microsoft revealed at the end of 2015. This would translate to about 25 million new active devices per month. Sites that track usage shares confirm that Windows 10 is gaining while all other versions of Windows are dropping. On Netmarketshare for instance, Windows 10 rose from 9.96% in December 2015 to 15.34% in April 2016. This would equate 1% with roughly 20 million devices. Microsoft revealed other information in the blog post, for instance that Windows 10 has the highest customer satisfaction rating of all Windows versions. In March, Edge was used more than 63 billion minutes, up 50% compared to the last quarter. Cortana answered more than 6 billion questions since launch. People played games for over 9 billion hours on Windows 10. 144 million people use the Photos app (that's nearly 50% of all Windows 10 installations). Part of the announcement is informative, but Microsoft uses it as well to increase the pressure even more. While users knew about the free upgrade deadline, its confirmation may be enough for users to upgrade their devices. Now You: Did you expect that Microsoft would end the free upgrade offer? The post Microsoft: Free Windows 10 upgrade ends July 29 appeared first on gHacks Technology News.